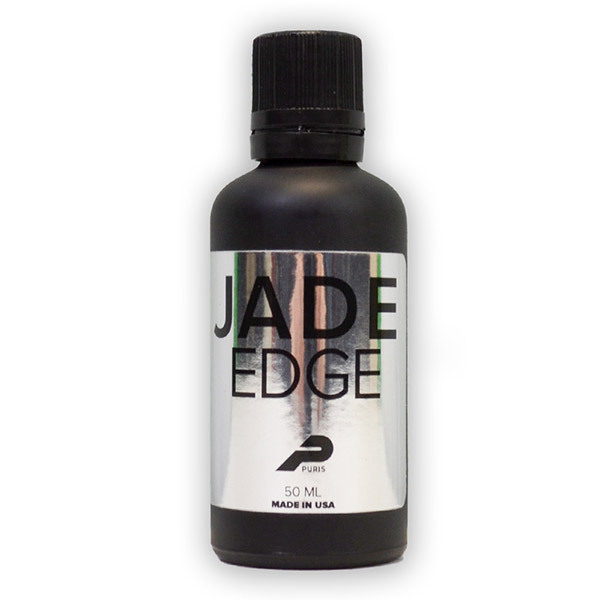 JADE EDGE Ceramic Coating for automotive trim is a clear, nano crystalline coating that protects your car’s trim from weather, chemicals, and UV rays while repelling water, dirt and other contaminants. 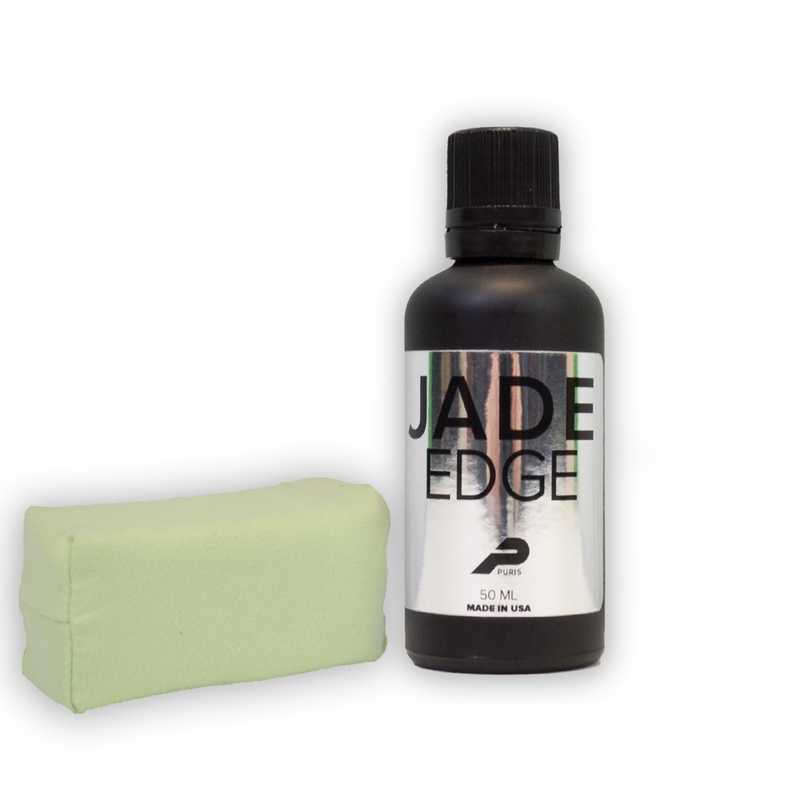 Jade Edge applies a hard (5H), durable coating that is 2-3 micron thick and imparts a deep, reflective shine. This is the very best trim protectant that we offer and will last at least a year. You can use Jade Edge on plastic, vinyl and rubber trim moldings, bumper covers, running board inserts and other trim components found on the exterior of automobiles. 50cc bottle will provide several applications if used properly. We will include one suede applicator with each bottle ordered. Shake well and pour several drops to the INCLUDED suede applicator. Apply to trim pieces and rubber molding using a cross-hatch pattern with slight overlap to level product. Allow the coating to cure for 5-10 minutes and gently remove excess product, if any, using a clean suede cloth or low nap microfiber towel. Do NOT allow coating to come in contact with water for 48 hours while curing. Apply additional coats with at least one hour between applications. Do NOT apply in direct sunlight or to a hot surface. Cure time is dependent on environmental conditions - test product on a small inconspicuous area first to gauge cure time. For This Product's Safety Data Sheet (SDS), Click Here.